Ranbuild, through BlueScope Steel offers a warranty of 15 years* from the date of installation. This warranty is your guarantee against corrosion or deterioration when used as roofing and wall cladding for sheds and steel buildings located greater than one kilometre from a marine environment. 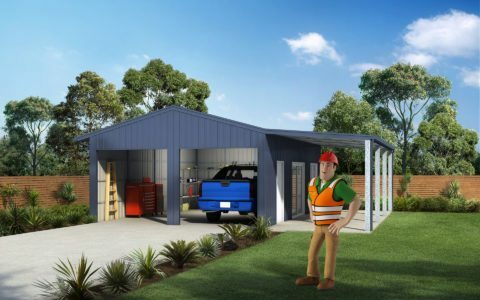 For sheds that can be influenced directly by harsh marine environments, please consult your Accredited Ranbuild dealer or BlueScope Steel for warranty specifications. *Warranty terms and conditions apply. Warranties are not available for all products and applications. The duration and terms and conditions of available warranties vary according to product use, location and application. The warranty process involves an application process direct with BlueScope and is essentially an agreement between you, the purchaser and BlueScope Steel.